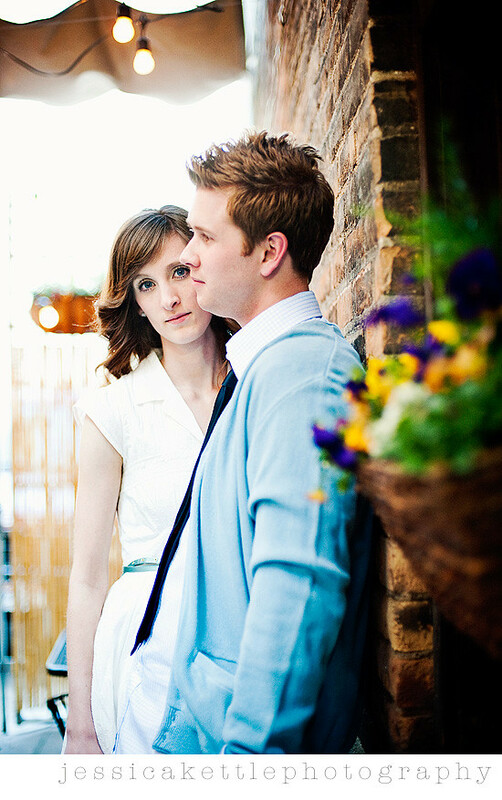 Jessica Kettle Photography: melissa + michael. engaged. 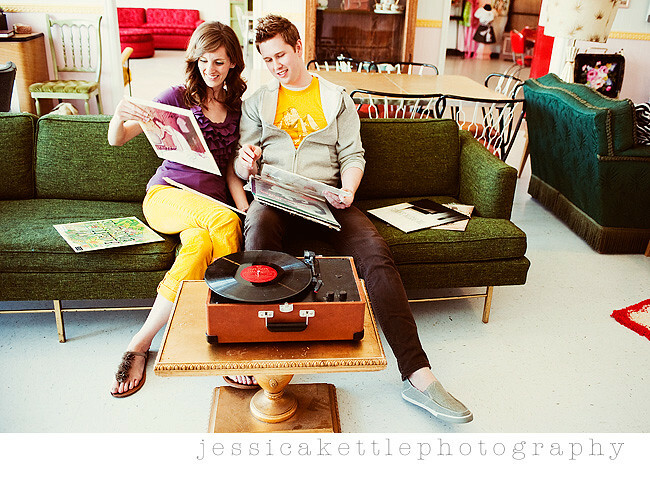 this has to be one of my favorite engagment sessions this year- melissa and michael were so much fun and had tons of great ideas. not to mention killer style- don't you think? sadly i won't be shooting their wedding because it's in august right when the baby is due (thank heavens that heather will be covering it! 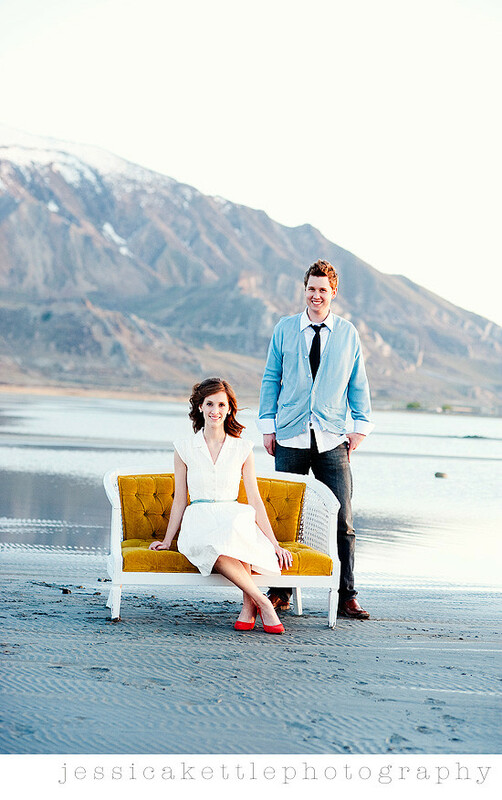 ), but i can't wait to shoot their bridals in san diego this weekend! First day of my Life by Bright Eyes is michael and melissa's song, so they wanted to recreate a scene from the music video, i think it turned out pretty close! i was soooooo thrilled with this light- isn't it gorgeous!? 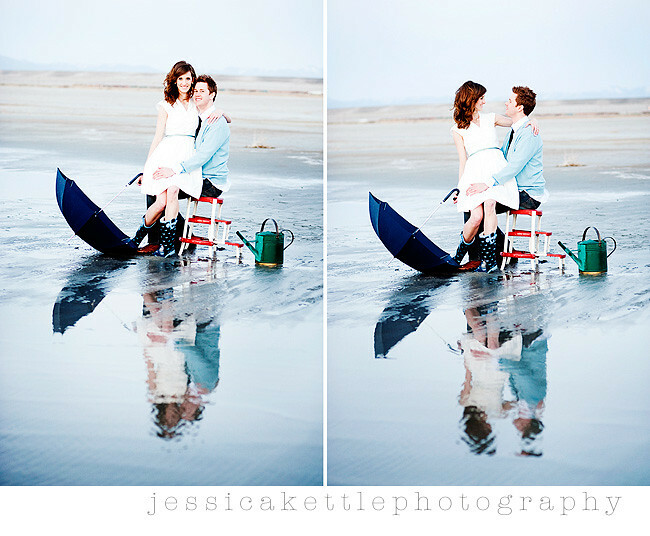 the salt flats were perfect! Gorgeous Jess! What a fun session, I can see why you are bummed to miss their wedding but I know you will rock the bridals to make up for it! 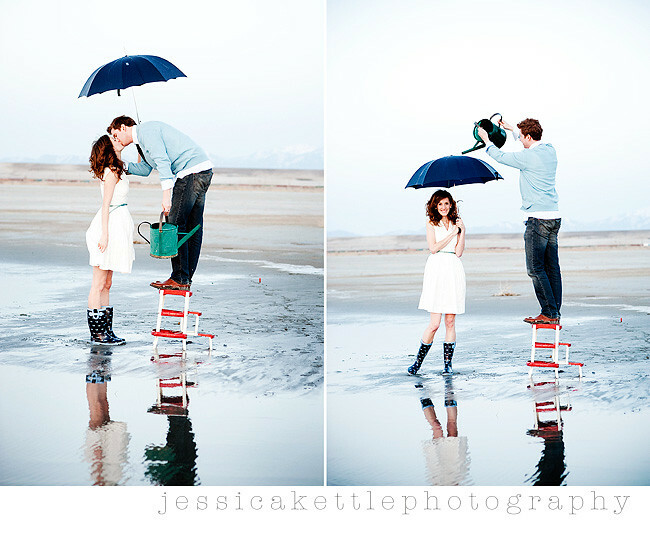 those salt flats seem like an awesome place to shoot! It's cool to see other places around the country so different than my own home town. last three are my favorite prolly. so dang cute! and yes, i want those shoes! I love the Bright Eyes recreation. Very familiar with that video and very jealous they thought of it first. Love it! seriously stellar shoot! love love love it. LOVE IT!!! especially the rain boots! So creative! and that white dress is to die for! I Want it! Like always Amazing! These are so creative! I love them! These are so fun!!! Great job! so very creative and fun. love them! 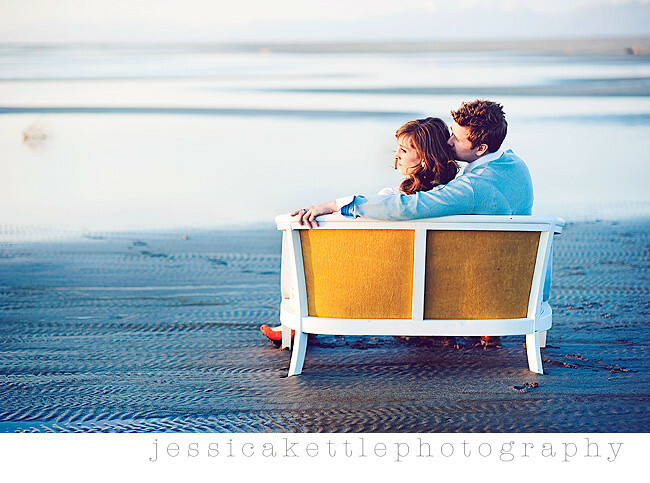 Love the ones at the salt flats and I love how you make Salt Lake look like some other town, for a minute I thought you took these in San Diego or somewhere. Jessica - These are amazing. 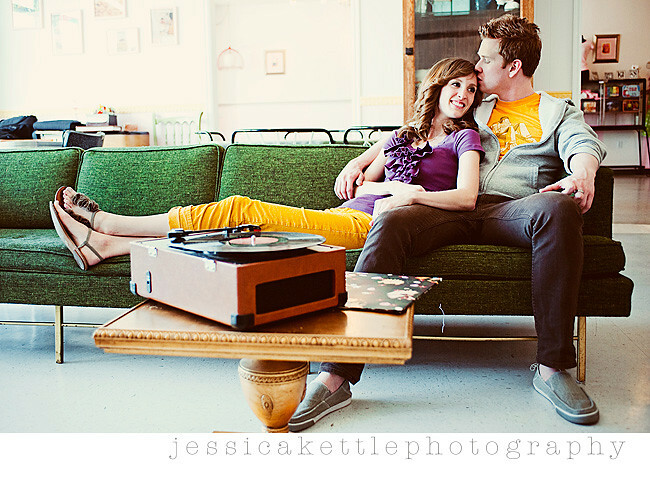 The sofa is a perfect prop! They do have great taste. Bright eyes is one of our favorite bands since we met. The shoot is gorgeous. I love it. What a fun creative session. Beautiful work! Melissa is my cousin and I am SO glad she chose you! I love your style and always have. 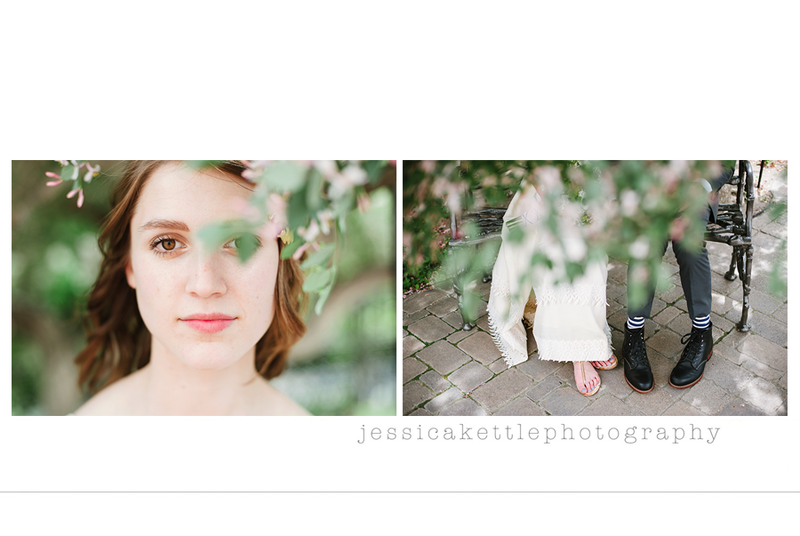 What a bummer that you are missing the wedding, but I can't wait to see her bridals!! 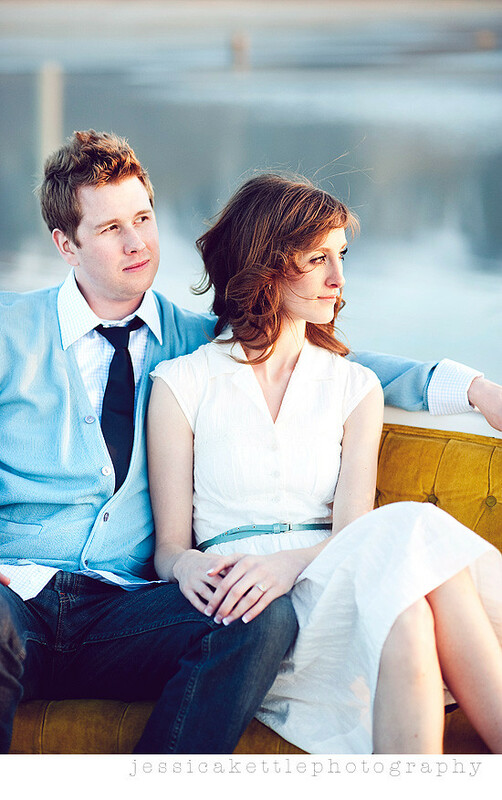 quite possibly the sweetest engagement session yet! and i am dying over that perfect light! 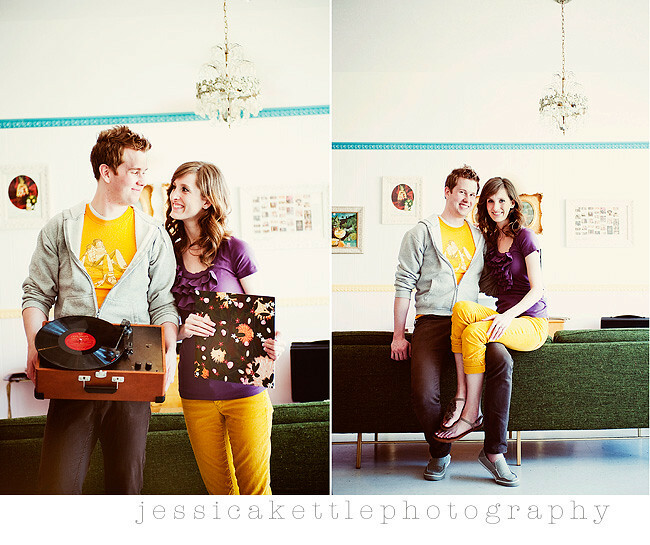 I love their style! Nice job Jessica! 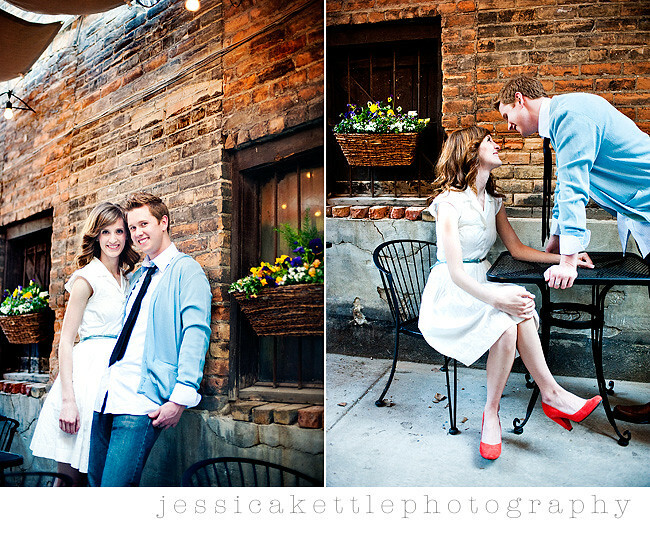 Amazingly cute session :) I love these! That is so fun when clients come in with a "vision" and you pulled it off perfectly!! I LOVE the ones at the Salt Flats! How fun is that!?! Great job!! OMG OMG OMG! First Day of My Life is one of my favorite love songs ever! 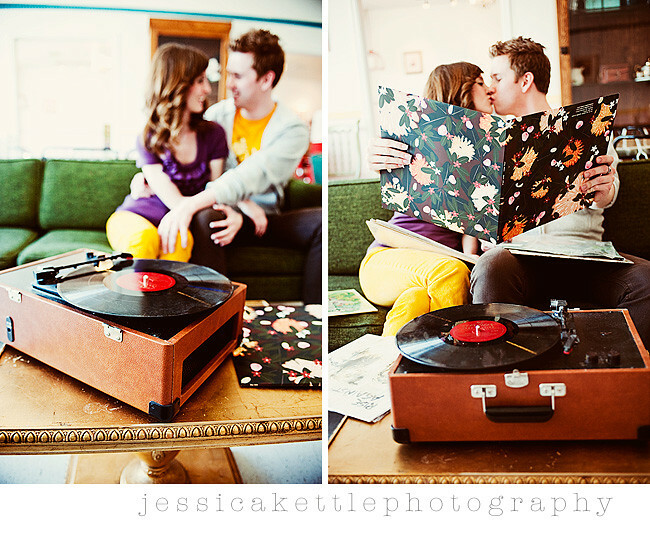 I'd give anything to feature this on Hi-Fi Weddings!!!! I love these photos! Especially the ones with the watering can! Those are completly insanly awesome. 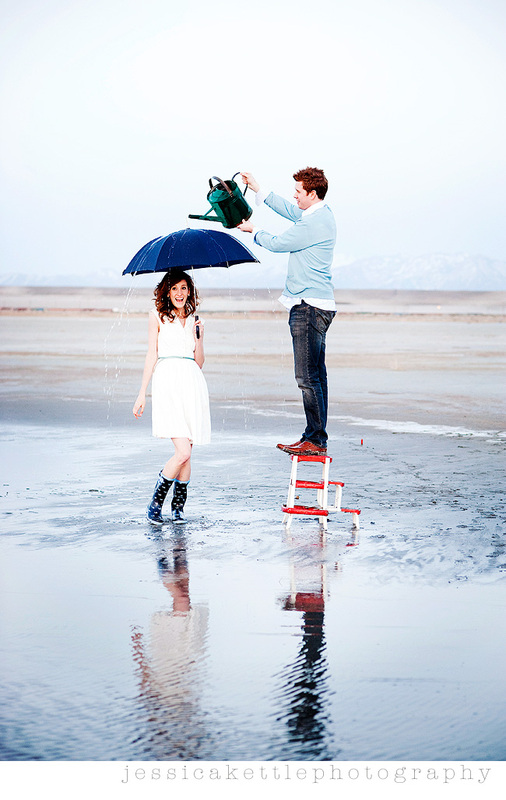 i love the salt flats. they turned out fantastic! So many creative and wonderful shots! GREAT work! Yes, I want her dress badly. As always you have created some very stunning images!!! :) Great work! Holy crap, these are UNREAL!!!! and WHERE on EARTH did you shoot that first series? That's like, the perfect inspiration room for my living room remodel. What a flipping fun couple! Oh yeah, and that whole Salt Flats series could be in a glossy magazine. What a fun session! I love everything about it but I def. think the last few shots at the GSL are my favorite! A visual treat. Really cool. Wow. The shots at the lake are amazing. Beautiful lighting and awesome couch! I'm in love with these!